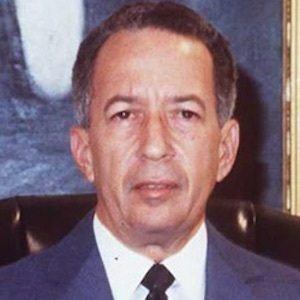 Politician, lawyer and a writer who was the 48th President of the Dominican Republic from 1982 to 1986, He also served as a Senator for the PRD party. He began his political career as a Committee Secretary for the Unión Cívica de Santiago in 1963 before joining the PRD the following year. He governed the Dominican Republic during a period of dramatic economic difficulties caused largely by the international system and programs by the International Monetary Fund. He was raised in Santiago de los Caballero, which is located in the north-central region of the Republic known as Cibao valley. He was President of the Dominican Republic when baseball star David Ortiz was living as a child there.